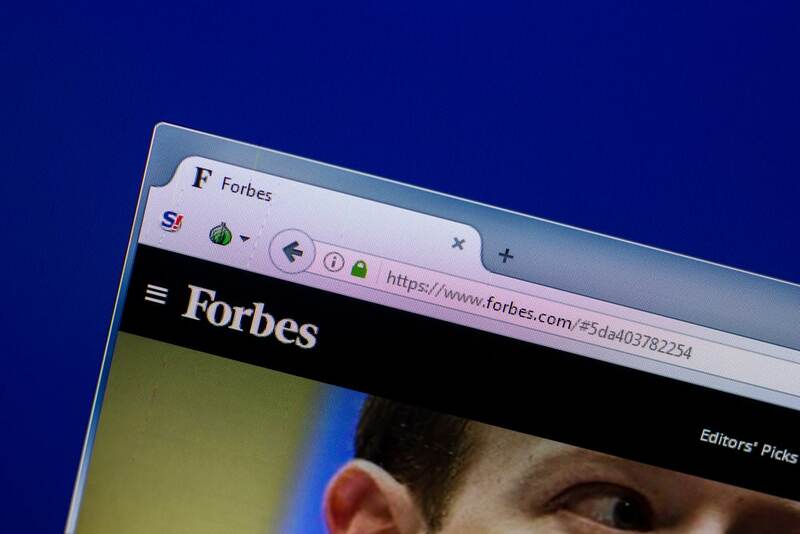 Ezekiel Osborne: How Did an Allegedly Notorious Crypto Scammer Make It Onto Forbes Middle East Cover? Before an interview with Khaleej Times, the United Arab Emirates UAE’s oldest and longest running English daily, Ezekiel Osborne managed to fly under the radar, or did he? Riccardo Spagni slammed Osborne on October 26 for lying about being a Monero Co-founder. The claim helped enable Osborne to be featured on a Forbes Middle East Magazine cover and even earned him a seat on the board of a FinTech startup. Mounting pump and dump schemes, scamming cryptocurrency investors with phony embezzlements, false claims, and misleading allegations, all are among a list of actions Ezekiel Osborne is suspected to have carried out. However, this did not seem to stop him from not only getting away with it but also making it to the cover of Forbes Middle East. Who is Ezekiel Osborne? Here is a closer look. In an article published on October 8 by Khaleej Times under the title “The Blockchain boom!” Osborne conveyed his interest in establishing his company’s business, “Lightspeed Tech” in the MENA (Middle East and North Africa) region. “Dedicated towards maturing the regional tech market through disruptive solutions and innovation”. The “interviewer” painted a word picture of Osborne as a blunt and witty entrepreneur, “with a personality larger than life.” A man who embraces the challenges life has put ahead of him and made them the catalyst to his brilliant success. The article goes on, and on praising Osborne’s business acumen, work ethics, and how he stands out among businessmen by not falling prey to distractions his peers were struggling with. It was a long essay of self-praise, cliché idiomatic expressions, unfounded allegations, and unchecked facts. However, the one-too-many kind of allegation was a claim he made about his involvement with Monero. In fact, none of those claims are true. And no interviewer conducted the interview. The article was obviously sponsored content, most likely to have been written by Osborne himself. However, seeing one of the biggest, oldest, and most credible daily news outlets in the UAE featuring wrongful and misleading information without minimal fact-checking, is rather astonishing. Blokt was also more surprised to see Osborne featured on a Forbes cover, and getting a Forbes Middle East special edition interview, with Claudine Coletti, the Managing Editor for Special Editions, Corporate and Commercial Content at Forbes Middle East. The interview this time alleges his personal wealth at around $200 million and that he founded Lightspeed Tech in 2015. The interview goes further by praising the incredible and unconventional journey of Osborne, a high-school dropout from Ipswich Australia that has struggled in the past until stumbling upon Bitcoin, which he bought at around $37. He also claimed to have started his first business arranging and carrying out maintenance for real estate agents. Osborne once again alleged being a Co-founder of Monero. Yet this time, he was more cautious with his words. “Monero was set up with six other people,” he said. Riccardo Spagni, a founding member of Monero, tweeted his surprise of seeing a man he never heard of claiming to be involved somehow with the core-team that launched Monero in any form and at any time. 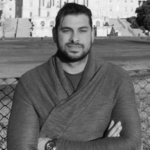 Ezekiel Osborne, Monero Core team, Co-Founder […] will join PATRON Team as a core member for the development of PATRON platform and business development. Blokt conducted a thorough online investigation on Ezekiel Osborne, only to find out more striking allegations about how he managed to grow his wealth in the crypto space. In fact, we discovered a Twitter portal under the name Zeke ‘Echelon’ Exposed, Zeke Echelon being the pseudonym allegedly used by Ezekiel Osborne. The resemblance between the pictures featured in Khaleej Times and Forbes with the twitter cover is striking. Furthermore, it looks like “Zeke” used to post live video scams and announce pump and dump schemes through telegram channels. He allegedly deleted his Twitter after a final exit. A Redditor reports that a user was able to take over the twitter account after Osborne made a new one under the pseudo “Satoshi Gun” (twitter.com/SatoshisShotgun also deleted as of press time). Two people were leading a P&D scam on Twitter. Ezekiel John Osborne (Twitter was @ZekeEchelon – from Australia) and Alan Nguyen (from Maryland @AlanEchelon […]). Alan helped coordinate the scam with Ezekiel. As we know, it will be difficult to hold someone accountable in Australia, but Alan Nguyen of Maryland might be a good first choice […] Zeke quickly deleted his twitter after his final exit, but someone was able to steal his twitter name to expose him twitter.com/zekeechelon. If anyone is in Australia and knows how to get ahold of authorities, you can find a lot of his personal info on that twitter page: (zeke@westsidebuilders.com.au – ezekielosborne@outlook.com – zeke@echelonpw.com.au). Zeke was pretending to be a “Private Wealth Manager” but screen caps of his email show that he is a construction worker. Both websites feature static images and minimal content, with lightspeedfirm.com reportedly launching soon, and lightspeed.io mentioning a new site coming soon. Moreover, the websites were created in October 2018 according to a trusted source for secure domain name searches. No trace of any project, collaboration, fundraising round, financial data, or even people involved with, or working at Lightspeed Tech were to be found on the internet, except for a Press release, probably made by Osborne himself and published by ABNewswire. The latter was republished by a handful of other websites and was most likely a sponsored article paid for by Osborne himself. In fact, the deeper we dig into this bizarre story, the more suspicious it gets, and the more red flag it rises. That being so, we might be either witnessing one of the most successful scammers’ exits and money laundering schemes in recent years. Or some sort of conspiracy against a man who really co-founded Monero helped launch businesses nobody has ever heard of or got a hold of their records, and will launch a shariah compliant Blockchain finTech company.